ISTP had the honor of welcoming humanitarian and world-renowned photographer/photojournalist, Reza to Cohn Campus to speak to our 1st through 8th grade students. 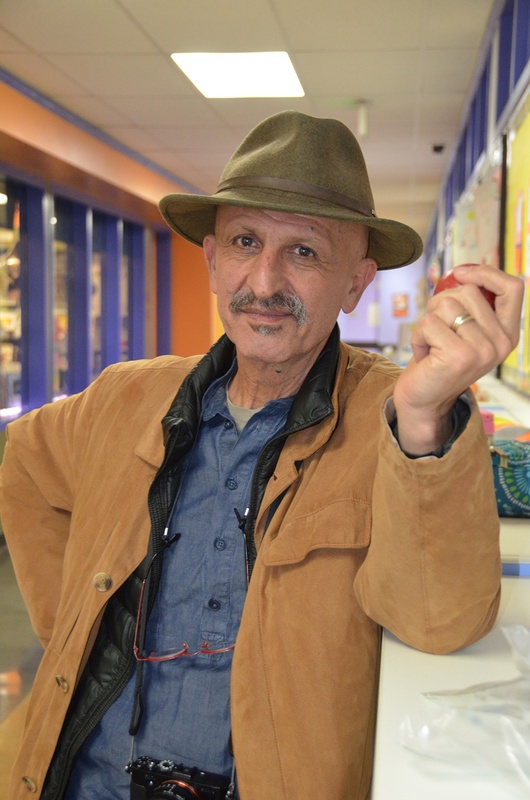 Reza captivated students with stories of his travels, life, work, and most of all - how he uses the magic of art to transcend barriers and capture the essence of humanity; how we are all connected. After his talk, students were deeply moved and engaged by his stories, and quite a few stood up to ask him for his autograph! Some students also commented on how excited they were to tell their parents about Reza's visit, and the connections they made between what they were learning in class to Reza's humanitarian and creative work. Reza's emotionally-gripping photos have been the featured cover of numerous issues of National Geographic, as well as other prominent magazines, books, exhibitions, and documentaries. According to NationalGeographic.com, Reza is the founder of an international nonprofit organization dedicated to the education and empowerment of children and women through the use of media and communication. Reza was a consultant to the United Nations, has been presented with the Prince of Asturias Humanitarian Medal by Spain's Crown Prince, has won the Hope Prize for his contribution to a project with UNICEF, and was also awarded the Chevalier de l'Ordre National du Mérite, France's highest civilian honor. As part of the IB Learner Profile, ISTP fosters attributes in our students, such as being courageous, knowledgeable, reflective, open-minded, principled, and curious. All of these attributes help students to become internationally minded people, who recognizing their common humanity and shared guardianship of the planet, help to create a better and more peaceful world. Reza models those attributes through his work and actions. In addition to being one of the best photographers in the world, Reza, who has traveled to over 100 different countries, is also a dedicated humanitarian. He is committed to education, and to opening a window into the lives of women and children in different living conditions and countries, during both war time and peace. Our middle school students have been learning about his work in refugee camps, such as those he has visited in Afghanistan. He works with local communities and provides cameras and film to those in the camps, to affect social change by empowering refugee children to tell their stories through the art of photography. Sharing his work with our students showed that there are many ways to affect change in the world. 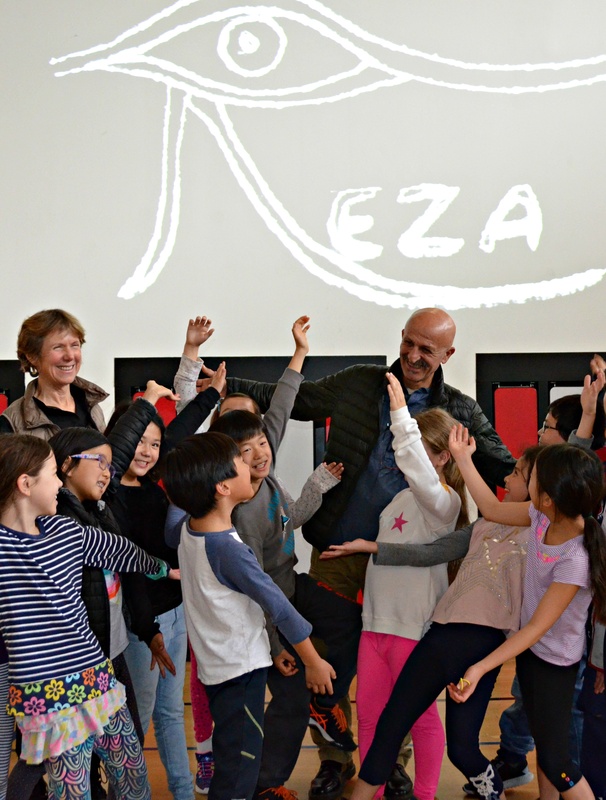 The International School of Peninsula thanks Reza for showing his work to our students and speaking to them about how to bring about change through art, and also thank Florence Robichon, ISTP alumni parent, for helping to bring Reza to our school.